Specialists in passenger transport and tourist services. 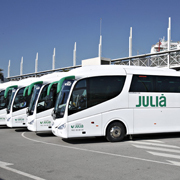 The professionalism and dedication of all the Julià Group business partners has helped turn the Group into a leader in the corporate sectors of Transport and Tourism. Today, the Julià Group is one of the most well-known national and international corporations. 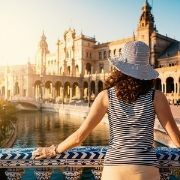 The simplest way to travel and discover the world's nicest locations. 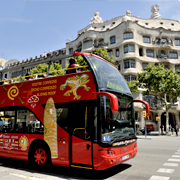 An innovative fleet of tourist buses and trains with unique routes for seeing a city's most emblematic places. From the best transport for our passengers to the rental of our vehicles.